- Easy to carry, use them wherever, whenever. - Each flavour comes with its nourishing goodness. - Formulated with gentle cleansing agents to save your skin from harshnes. - Unclogs pores to help the skin breathe and stay healthy and fres. 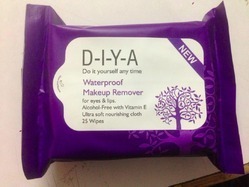 - Removes the hardest of make-up easily. An oil-free and no-rinse formula that effectively removes make-up including long-wearing and waterproof formulas, gently nourishing the skin with the antioxidant effect of Almond and Grape seed extracts. 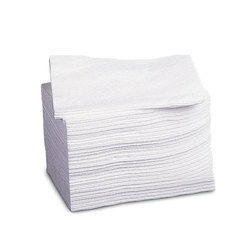 We bring forth our vast industrial experience and expertise in this business, instrumental in providing Makeup Remover Wet Wipe. Pack Size: Wipes per Pack- 10 Nos. We are one of the leading manufacturers of various size of dry pads used for the purpose of Make-Up Remover , Eye Make-Up Removers, Nail Polish Remover , etc.